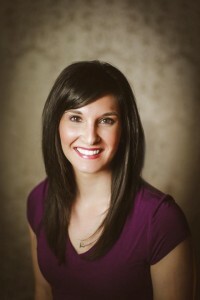 Hello, my name is Rachel and I have been a Licensed Esthetician since April of 2011. I provide facials, chemical peels, body waxing, spray tanning and body scrubs. I feel I can relate with many of my clients because I had many skin concerns of my own. When I was in my teens, I had issues with acne and picking at the acne, causing acne scarring. I have learned new ways to improve not only my skin type, but others as well. I am dedicated to each and every client who walks through the door. I really enjoy taking the time to educate clients on skin concerns, and then teach new ways to protect and treat the skin. I also enjoy providing not only results from esthetic treatments, but relaxation for my clients with scalp, shoulder, hand, and facial massages during the facial session. Esthetics to me means finding you the proper skin care treatments and products that your skin needs and deserves, but also providing you with the best possible service. I love what I do, but I also love my free time. I enjoy spending time with my husband, Taylor, and our puppies. We have an Australian Terrier, Ollie, who is 10, we rescued him from the Humane Society here in Lincoln. We also have a 6 year old Alaskan Malamute named Myah. They act like brother and sister, but we love them to pieces. Taylor and I recently built a home together near Waverly and moved in in February 2018 so we have been keeping busy with doing some things around the house. I love the outdoors. Camping with the family is one of our favorite activites to do in the summer. We also love to travel to Colorado for snowboarding or four-wheeling. I am born and raised in Lincoln, Nebraska and went to high school at Waverly. My family are huge Husker fans, of course. I appreciate you taking the time to read my bio and learn more about my life. I look forward to learning about you!